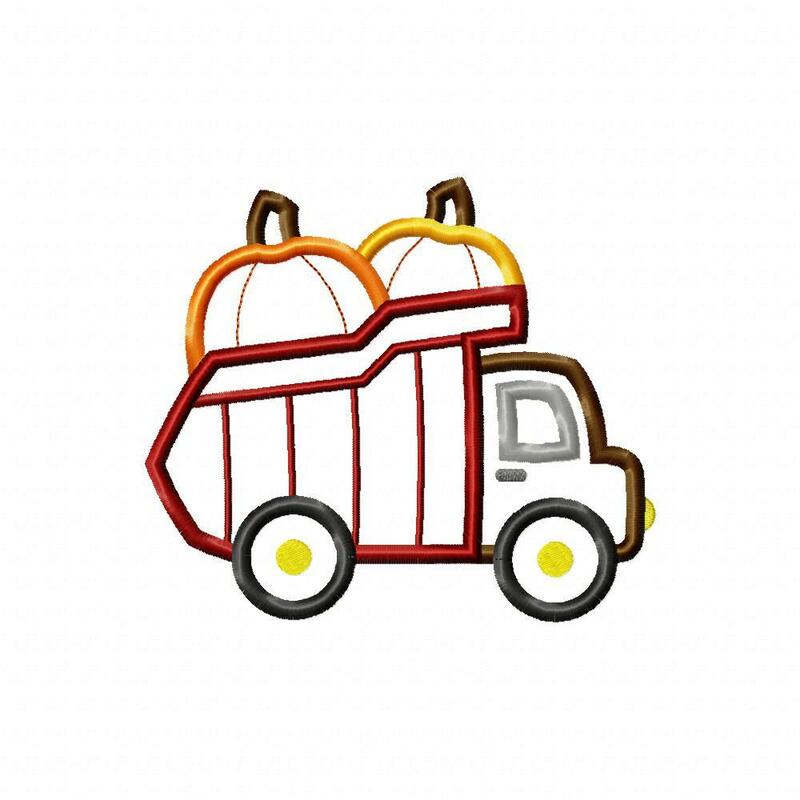 Dump Truck Pumpkins Applique - 3 Sizes! 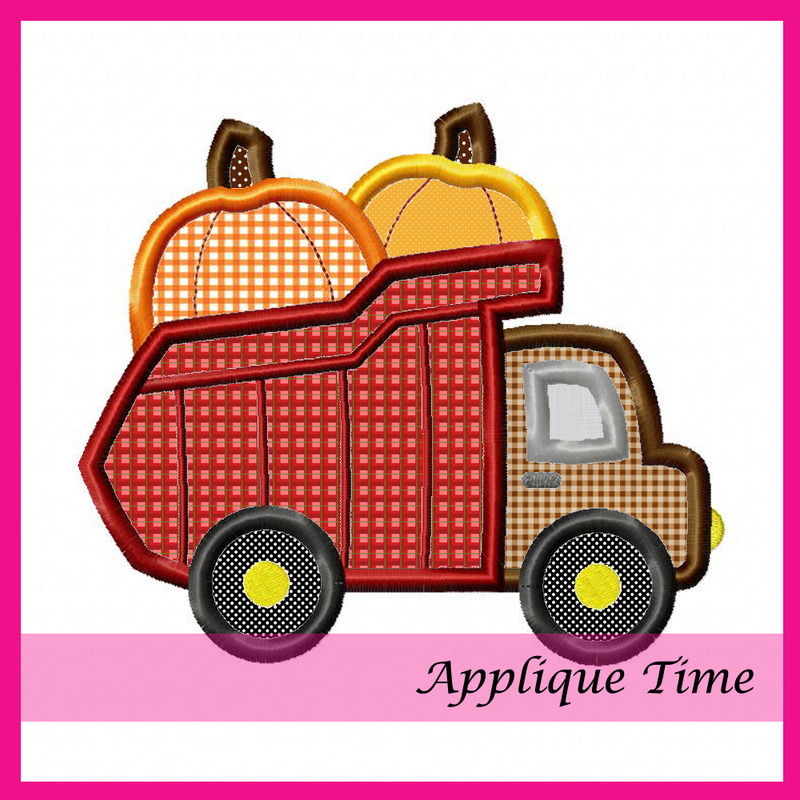 This fun dump truck full of pumpkins is great for your fall themed applique projects. Design includes 4x4, 5x7 and 6x10 hoop sizes. Three Tall Pumpkins Applique - 2 Sizes! Puppy Pumpkin Wagon Applique - 2 Sizes! Circle Framed Pumpkin Applique - 3 Sizes! Chevron Pumpkin 2 Applique - 3 Sizes! Finish Size 3.82" x 3.32"
Finish Size 4.96" x 5.70"
Finish Size 6.65" x 5.78"